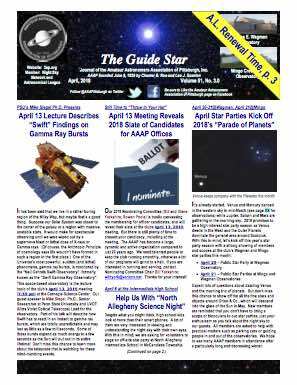 Please join the Amateur Astronomers Association of Pittsburgh on Friday and Saturday, July 24 and 25, 2015 at the Wagman Observatory and the Mingo Observatory as we open our buildings and grounds to the the public for July Star Parties. Share our enthusiasm for astronomy and the recent New Horizons Mission to Pluto and its moon Charon. 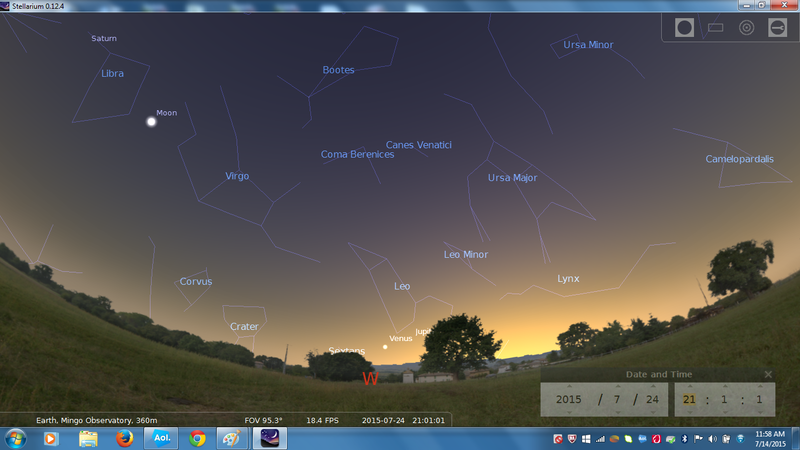 July 24, 2015 9 PM looking west Venus and Jupiter are setting. First Quarter Moon, 8 days old, is in the upper left just below Saturn. 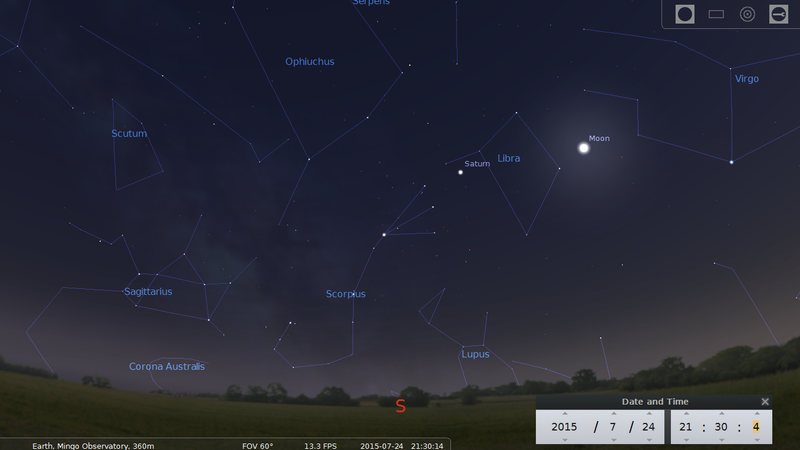 Stellarium Scieen Capture of July 24, 9:30 PM looking south with the moon and Saturn in Libra. Please check here for updates as announced. Events are conditions permitting. The Star Parties start Friday, July 24 and Saturday, July 25 at 8:40 PM EDT at the Nicholas E. Wagman Observatory in Deer Lakes Regional Park, Frazer Township, Pa., near the village of Russellton in northeastern Allegheny County and some 18 miles from Pittsburgh. This is an opportunity for amateur astronomers, students and the general public to observe the wonders of the summer sky along with Saturn, Venus and Jupiter. Visitors will be able to observe the Moon one day after First Quarter, the Hercules cluster and the Ring Nebula. Solar Obeserving (weather permitting) at 5:30 p.m. Planetarium Shows (rain or shine) beginning at 7:00 p.m.Celestial Observing (weather permitting) beginning at DuskMingo Creek Park Observatory is Open Rain or shine, cloudy or clear!Planetarium Schedule: 7:00 PM: Sky Show, 8:00 PM: Program TBA 9:00 PM: Sky Show, 10:00 PM: Program TBA SAFELY View the Sun early with our 4″ Lunt Solar Telescope and then see wonders of the night sky through our 24 inch Ritchey-Chretien Reflector and 10 inch Refractor telescopes. Observe Double-stars, planetary nebulae, astonishing star clusters, distant galaxies. The Planets Saturn and its rings, Jupiter and its Galilean moons, Venus and more starting at dusk (sky conditions permitting! ). Students, scouts, youth groups, adults, and children accompanied by adults are welcome. If you know others who would be interested in receiving these notices, please respond to this email to send their email addresses. Mingo Creek Park Observatory is Handicap Accessible. Also save the date for our 10th Anniversary next month during our August 14th & 15th Star parties.